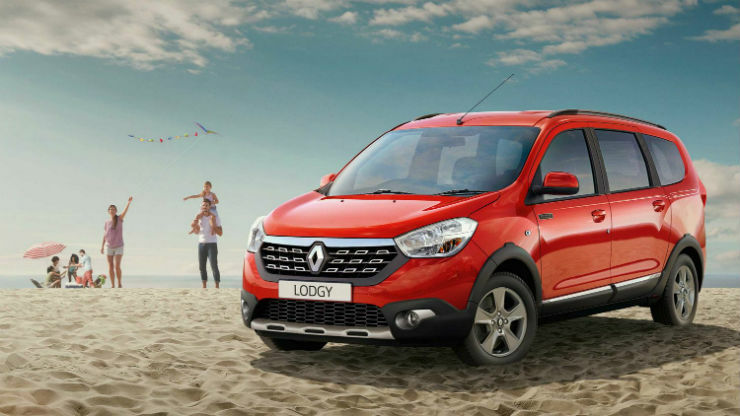 Renault’s only MPV in India – Lodgy gets a special edition India known as World Edition. The special edition car gets as many as 25 new features in the interior and the exterior and is available with the both 84 Bhp and 108.5 bhp engine options. The Lodgy World Edition gets a new chrome grille along with new dual-tone bumper. The fog lamps in the front get chrome treatment and also gets the front and rear skid plates from the Stepaway edition. 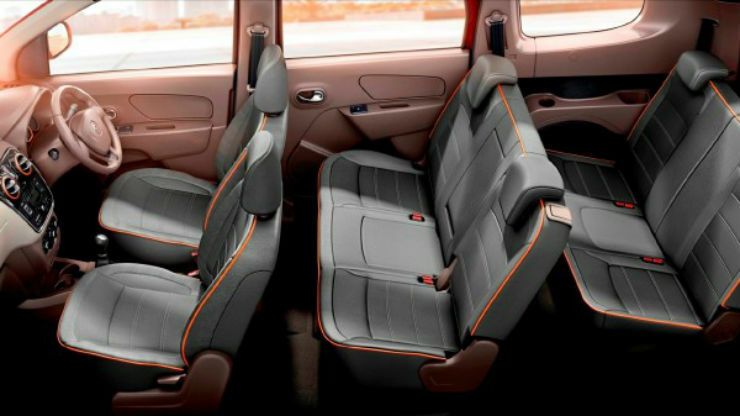 The 15-inch anthracite alloy wheels are taken from new Renault Duster. The car also gets new body graphics, roof rails painted in dual colors, and B and C pillars painted in matte black. Renault is also offering four color options with the World Edition Lodgy – moonlight silver, pearl white, royal orchid and fiery red. The car also gets visually updated interiors. 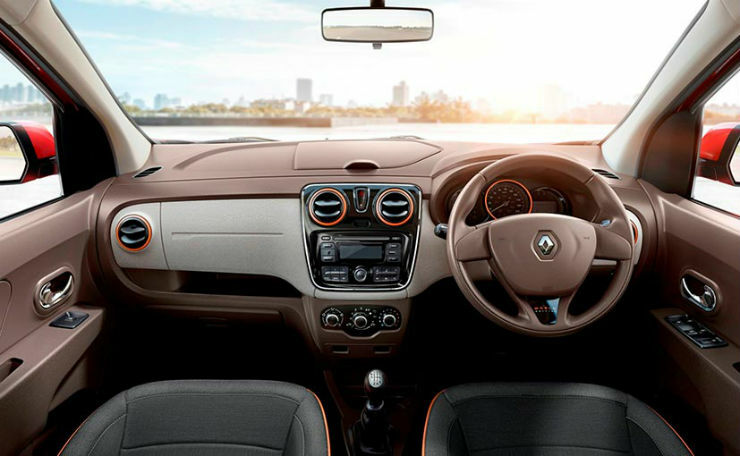 The steering wheel, instrument cluster, air-conditioner vents and seats get orange highlight making the cabin look sportier. The engines remain unchanged, though. The 1.5-litre dCi diesel engine tuned in two different states produces 84 Bhp and 108.5 Bhp in Renault Lodgy. The 84 Bhp engine gets 5-speed manual gearbox while the higher powered engine is shafted with a 6-speed transmission. The price starts at Rs. 9.74 lakh (ex-showroom, Delhi) for the 84 Bhp engine option while the 108.5 Bhp Lodgy gets a sticker price of Rs. 10.40 lakh (ex-showroom, Delhi). The Lodgy competes with Maruti Ertiga in the segment and is not doing very well in the market.